Comecer will be present at FCE PHARMA – International Technology Expo for the Pharmaceutical Industry. Come visit our Stand #F124 at São Paolo Expo Convention Center: our local agent MMConex will be with us. Make an appointment to talk with our Latin America Area Manager, Mario R. Bielsa or our agent in Brazil MMConex. 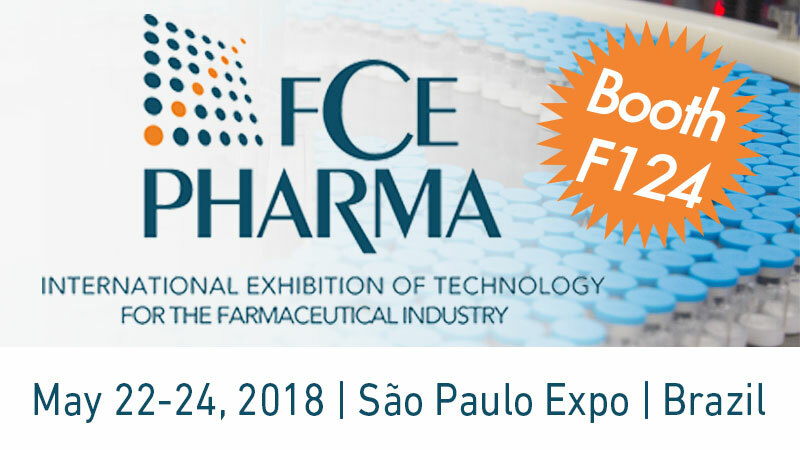 FCE Pharma is the only event in Latin America bringing the biggest products and services suppliers from across the pharmaceutical industry production chain together in just one place. Moreover, the show drives the economy and financial movements in this market. Attendance by major companies and the variety of services also draws visits from the most representative buyers with the most purchasing power in the pharmaceutical industry, who are looking for innovations and launches.